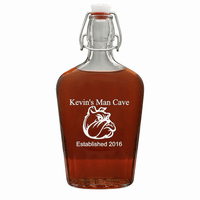 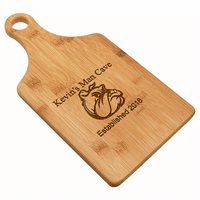 This is a wonderful gift for business associates, clients, family and friends! 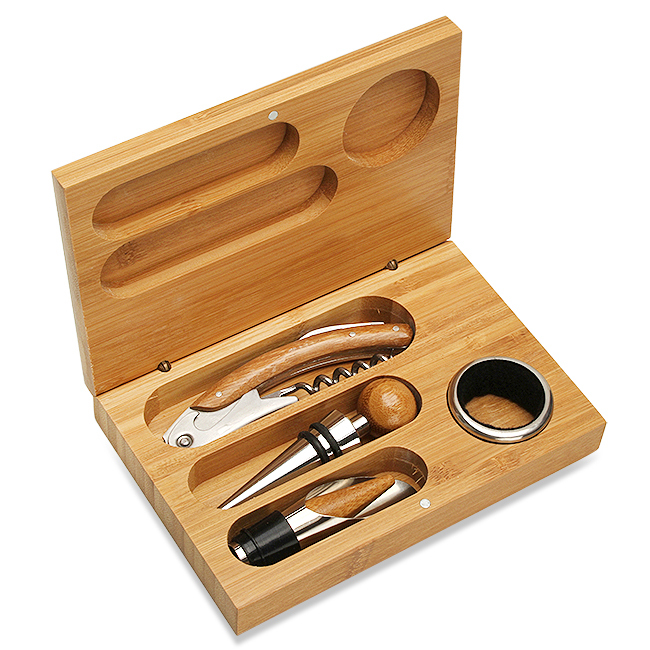 It's a bamboo wine accessory set that includes a bamboo & steel corkscrew/cutter, stopper, pourer and drip ring, each held in its own carved cutout inside the box. 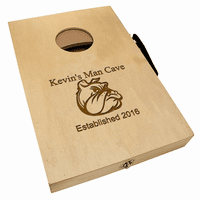 The cover is laser-engraved with our "Snarling Bulldog" design, and can be personalized with a name and "date of establishment", available at no extra charge. 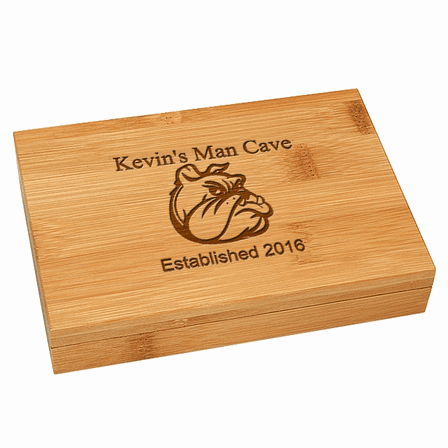 This gift set comes packaged in a handsome box. 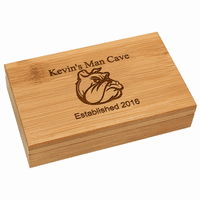 Dimensions: 6 1/4" x 4 1/4" x 1 1/4"